Round "From the Library of" stamp. 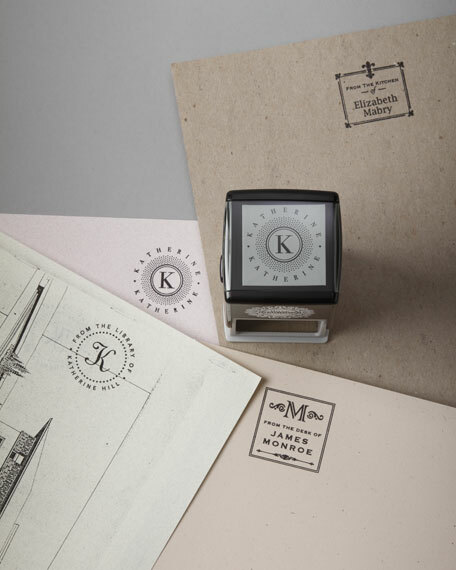 Custom stamp includes a black ink pad. Specify one initial and up to 18 characters/spaces for name.